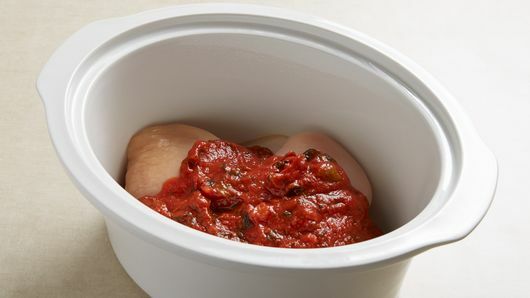 Spray 3 1/2-quart slow cooker with cooking spray; place chicken breasts in cooker. Pour pasta sauce evenly over chicken. Cover; cook on Low heat setting 4 to 5 hours. Before serving, cook and drain pasta as directed on package. Meanwhile, in 8-inch skillet, heat oil over medium-high heat; add bread crumbs. Cook 2 to 3 minutes, stirring constantly, until golden brown. Remove from skillet; set aside. 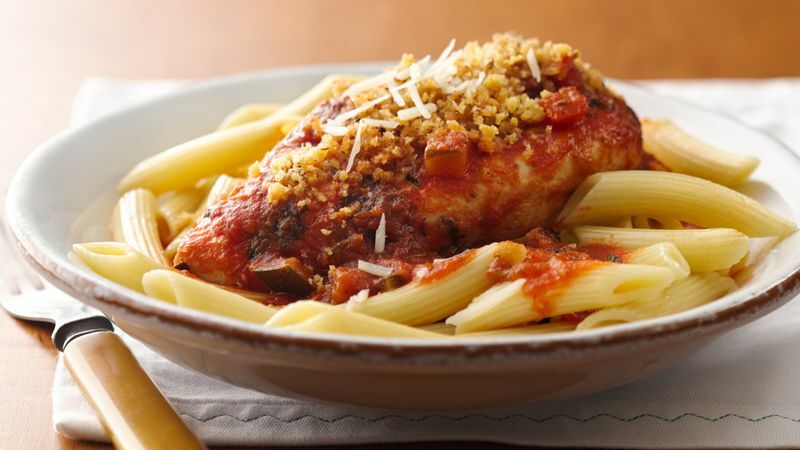 To serve, top pasta with chicken breast, pasta sauce, bread crumbs and cheese. 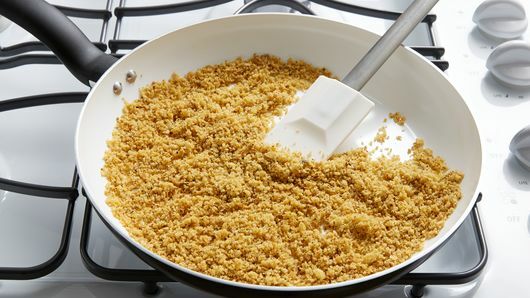 Skillet-toasting is an easy way to get a nice crispy bread crumb topping for this recipe. Just be sure to stir constantly to avoid burning. Chicken breasts tend to come in different weights and sizes. A uniform size is important for even cooking.